Whether you're shopping online or in a brick-and-mortar store, finding and tracking deals takes some work. Some of these 10 incredibly useful sites can help you nab the best bargains. We've also gathered several online services that offer practical assistance for when you're traveling halfway across the country or when you're simply stepping out for dinner. TheFind quickly helps you target products you wish to buy, and alerts you to deals, coupons, and more. Looking for an obscure item can be frustrating. TheFind will scour the Web for any product, revealing sales, coupons, and shipping deals to get you the best bargain. Having trouble keeping track of all the hot gadgets you've been lusting after? Droolr gives you socially driven shopping lists of the wildest, weirdest, and coolest gear on the Web. If you're struggling with choosing a digital camera, start by reading our camera buying guide. If you're still stuck, give Measy a whirl. While this quiz-based decision maker isn't exactly scientific, it can help you weigh the factors that matter most to you and zero in on a good selection. You know what you want, and you know where to buy it. Now let RetailMeNot close the gap between your shopping cart and your bank account by looking up coupon codes for more than 50,000 stores. If the product you're buying has a discount code available anywhere, chances are this site will find it. 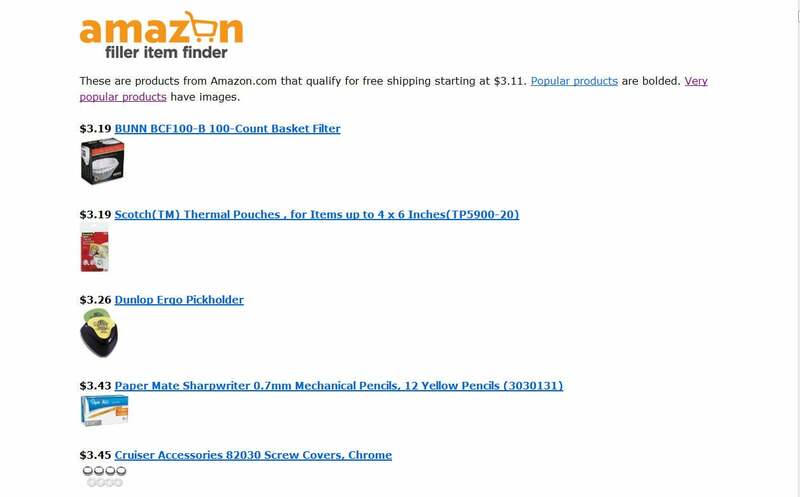 If you just need to purchase something cheap to qualify for free shipping on Amazon.com, Filler Item Finder can whip out some suggestions centered on the amount you need. Will the pickholder or the mechanical pencils do the trick on this purchase? When you're 87 cents away from getting free shipping on your Amazon purchase, you need a filler item. 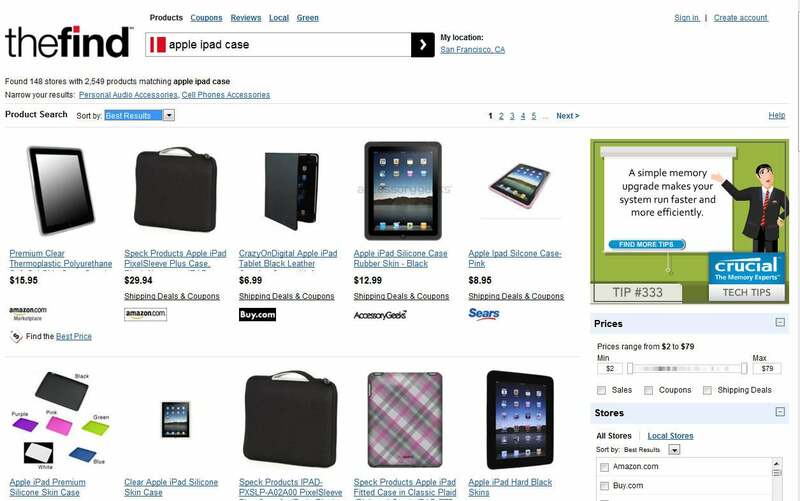 Filler Item Finder will help you find a cheap but useful item to push your purchase total over the top. Do you have any idea how much fat is in the burger you're eating? If you log on to Nutrition Data, you can find out in seconds. The site offers nutrition information for most major chains, and makes analyzing recipes for nutrient content easy. Plus, you'll get a healthy serving of expert blogs and commentary to slice through the latest health-food fads. Don't waste time calling every restaurant in town to find a reservation for your next date night or business lunch. OpenTable will save you a spot at some 12,000 restaurants around the world. 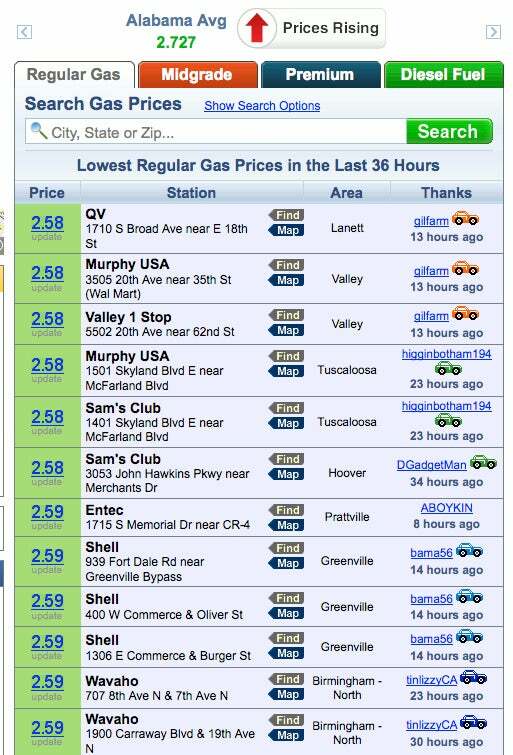 GasBuddy.com lists the gas prices currently available in your area and shows the stations on a map. If you just pull into the closest service station whenever your tank runs low, you're probably burning money as well as gasoline. But if you punch your current location into GasBuddy.com, you'll get a list of gas prices for filling stations near you in the United States and Canada that are sorted by price and updated within the last 36 hours. The site also tells you the average price of gas in each state or province. Unless you're willing to spend big bucks, any airline seat you occupy is bound to leave you with some aches and pains. But you can improve your odds of having a comfortable trip if you arm yourself with a little knowledge in advance. At SeatExpert you can key in your travel information to find the best seat locations for nearly any flight. Sit or Squat may have an unsubtle name, but it offers a practical service in displaying the restrooms closest to you. When you gotta go, don't settle for just any old commode. 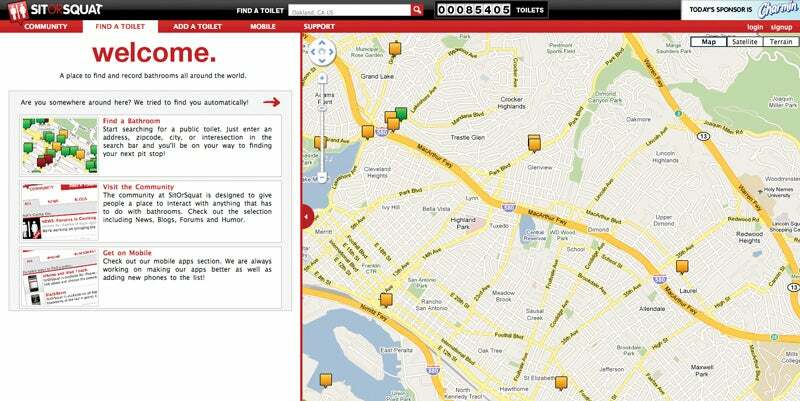 Sit or Squat helps you locate the nearest clean, accessible restroom to your current location.